Carol Jean Seaver, 63, Nevada, MO peacefully entered her Lord’s presence on Tuesday, March 26, 2019 in Joplin, MO. Carol was born July 19, 1955 in Nevada to Herman Carl and Beulah May (Burdick) Brokob. Carol attended school in Nevada and worked many years as a waitress in the area. Carol loved her family and was especially proud of her grandchildren who were her pride and joy. Carol was artsy-crafty; she enjoyed sewing, quilting, and crocheting, and also liked to camp, grow flowers and plants, travel, and attend church. She especially loved feeding and watching the many, many hummingbirds that visited her daily. She will be missed dearly by her family and the resident cats who had a special fondness for her. Carol was preceded in death by her parents, and a brother, Bobby Joe Brokob. She is survived by her daughter, Ilene Lanham (Shan) Nevada; son, Eric Phillips (Anna Paulson) Nevada; three grandchildren, Briannah and Conner (Lanham) Nevada and Grevyn Phillips, Lamar; brother, Carl Brokob, Jr. (Linda) Webb City; sister, Mina White (Tom) Joplin; companion Dwight Scotten, Nevada; nieces, nephews, extended family and special friends. 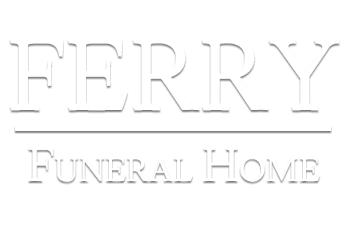 Funeral services will be held at 1:00 p.m. on Saturday, March 30, 2019 in the Ferry Funeral Home Chapel with Pastor Terry Mosher and Pastor Bill Platt officiating. Interment will follow in Moore Cemetery. Visitation will be from 5-7 p.m. on Friday evening, March 30, 2019. Memorials are suggested to the Shriners Children’s Hospital in c/o Ferry Funeral Home in Nevada.